As more health systems throw their weight into direct contracts with employers that require them to use data to manage healthcare costs and quality for large populations—tasks traditionally performed by health insurers—some question whether they have the chops to pull it off. “There are some providers who have the analytics capabilities to make a meaningful run at an issue like this, but not many, and I don't even think it's most,” said Rulon Stacey, managing director and strategy business unit leader with the consulting firm Navigant. Value-based contracts involve complex actuarial calculations to set total cost of care targets, performance metrics and risk corridors. Navigant's research has found that health systems, despite having spent hundreds of millions on electronic health records, haven't managed to harness that data toward meaningfully lowering costs or improving quality, Stacey said. 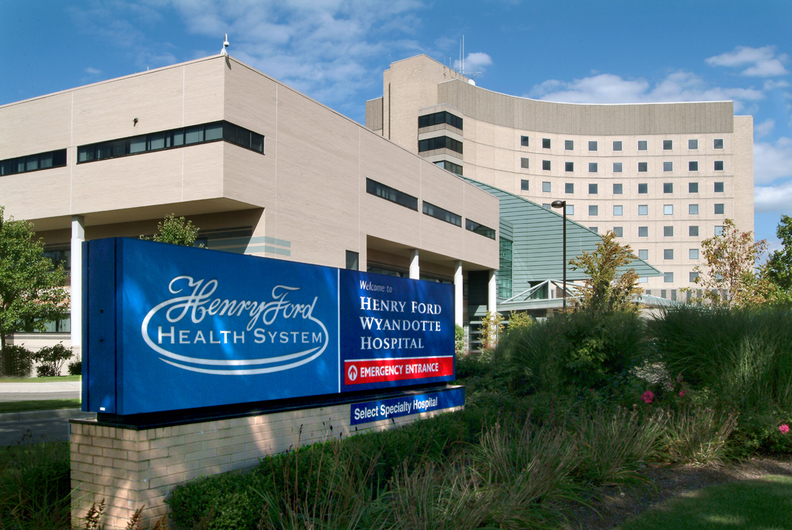 For its part, General Motors enlisted consultancy Willis Towers Watson to help develop its five-year contract with Henry Ford Health System to provide care for up to 24,000 of its employees and their dependents. It's a value-based contract that requires Detroit-based Henry Ford to meet 19 quality metrics and financial targets, or effectively be forced to write GM a check at the end of the year. Providence St. Joseph Health ended its direct contract with Boeing Co. last year after finding it wasn't financially sustainable. A Providence executive told Modern Healthcare in January the system couldn't capture enough data to anticipate and manage the cost of care. There may be other failed experiments that haven't been publicized, said Paul Keckley, industry consultant and managing editor of the Keckley Report. There do not appear to be independent studies demonstrating direct contracting can actually lower costs and boost quality, but industry insiders are optimistic the model can work under the right circumstances. Companies must have enough market share, willing participants and expertise when it comes to doling out value-based care—a special sauce some believe the GM and Henry Ford duo has. Both have strong stakes in the Southeast Michigan market, and Henry Ford already owns a health plan and provides value-based care. GM estimates at least 20% of those eligible will choose the plan, called GM ConnectedCare, during open enrollment this fall, with enrollment growing over time. GM provides the right amount of business for Henry Ford to experiment with improving quality and efficiency, said Suzanne Delbanco, executive director of Catalyst for Payment Reform, a member-based organization that seeks to help employers get better value for their healthcare dollars. That doesn't mean direct contracting can work everywhere. Large, self-insured employers like Boeing, Walmart and Intel have been advancing such plans for roughly the past two decades, but the National Business Group on Health's latest survey found just 11% of employers will hold such contracts next year, up from 3% this year. “It's got to be almost a perfect storm,” said the business group's CEO, Brian Marcotte. Even GM acknowledged the model won't work in all of its regions. The company has value-based payment contracts with Aetna in Arizona, Georgia and Texas—markets where it doesn't have enough employees to justify direct contracting, said Sheila Savageau, GM's U.S. healthcare leader. “A value-based arrangement with a carrier is actually a really good alternative when you don't have the volume to actually go on your own, to be able to set some of these things up,” she said. It's probably by design that companies don't readily publicize their outcomes data, said Bret Schroeder, PA Consulting's U.S. healthcare provider lead. The model saves money by creating narrow networks, and companies wouldn't want to announce they're saving millions if employees potentially can't get disease-specific care in that network. Walmart and Intel, two employers engaged in direct contracting, declined to share their results so far. Other companies that have said they're using direct contracting, including Boeing, Whole Foods Market and the Walt Disney Co., didn't respond to questions about their results. GM employees and dependents that choose the new plan can visit Henry Ford providers for primary care and specialty care without a referral. Out-of-network providers will be more expensive. Dr. Bruce Muma, chief medical officer and interim CEO of the Henry Ford Physician Network, said Henry Ford has about 500 primary-care physicians, which is plenty to handle the roughly 5,000 to 10,000 new patients he expects under the GM contract. If the health system were to enter direct contracts with other employers, it would likely need to add more doctors, he said. That additional demand could pose a challenge to Henry Ford in terms of ensuring they can provide a good customer experience without having to spend a lot more money, Schroeder said. Another form of direct contracting that's popular among providers involves centers of excellence for high-ticket procedures like joint replacements or heart surgeries. The National Business Group on Health's latest survey found the proportion of employers engaging in that type of contract jumped from 9% in 2017 to 18% for 2019. In those cases, employees travel to places like the Cleveland Clinic to have procedures done. Walmart, after observing a wide variation in the cost and quality of its employees' spine surgeries, decided in 2012 to contract exclusively with certain providers for those services, including Geisinger Health in Pennsylvania and the Mayo Clinic in Arizona, Florida and Minnesota, among others. To encourage employees to opt in, Walmart covers 100% of the procedures' costs plus travel if employees choose the plan, versus standard cost-sharing if they opt out, according to a Catalyst for Payment Reform analysis of the plan. Walmart's central metric for success was fewer unnecessary surgeries. In that respect, its selected providers determined half of the surgeries that patients were referred for were deemed unnecessary, according to the Catalyst for Payment Reform analysis.